There were also reports that Chinese Navy had acquired a base in Maldives, which is located in the Indian Ocean region. THIRUVANANTHAPURAM: Any country that forays into the Indian Ocean region should take into account “geo-political realities” and respect the “individuality and security” of countries in that region, Sri Lanka’s High Commissioner to India Sudarshan Senevirante has said. The High Commissioner was replying to a question from ‘Express’ during a press conference here on Thursday. When asked about China’s increased military presence in the Indian Ocean region. Senevirante, without naming any country, added that the “individuality and security of countries (in the region) should be taken into account” when other countries enter the region. According to recent reports, the Chinese submarines were detected in the Indian Ocean region. There were also reports that Chinese Navy had acquired a base in Maldives, which is located in the Indian Ocean region. On the issue of fishermen from India crossing into Sri Lankan waters and the problems associated with it, the High Commissioner said that such issues should be addressed through discussions between both countries. Calling it a “human, social and economic issue,” Senevirante said the organisations of fishermen in both countries should discuss and find ways to resolve the issue.Along with the issue of fishermen, smuggling of artifacts and arms racketeering are also areas of concern for both countries. “India and Sri Lanka need to guard themselves from such threats,” he added. The High Commissioner said that he was on a visit to Kerala to “prepare the groundwork” for future collaboration between his country and Kerala in sectors such as tourism and sports, besides educational interactions and cultural exchanges. “An investors’ delegation will visit Kerala in August to formalise agreements with the various chambers (of commerce and industry),” he added. Wellness tourism, ayurveda tourism, heritage tourism and nature tourism are areas of cooperation, he said. Senevirante said that there was also a proposal to start luxury cruises between Sri Lanka and Colombo. 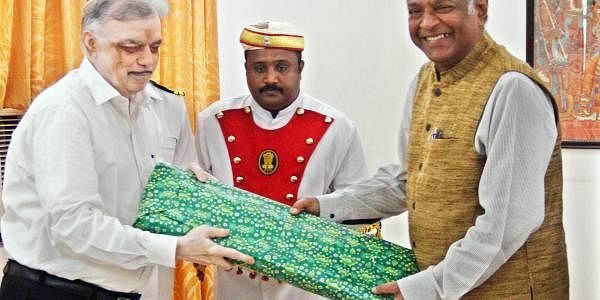 “Luxury cruise service can be launched between Sri Lanka and the western coast of India via Kochi, and maybe, Thiruvananthapuram, in future,” he said. On the eastern front, the island nation also has plans to launch yacht services from Sri Lanka to Calcutta so that tourists can visit important Buddhist places in the Gangetic Valley and the North-east.